As Controller of Benedict Canyon Equities, Inc. (BCE), Angel Yeung is responsible for overseeing corporate accounting, cash management, and financial reporting. 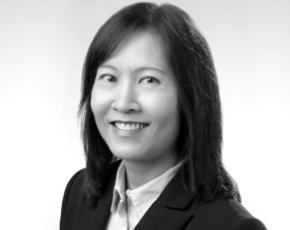 Prior to joining BCE, Ms. Yeung was the Controller for JB Partners Group. She was responsible for management and oversight of Asset Management Accounting. Her duties included property management accounting, financial analysis, audit, and financial reporting. Prior to joining JB Partners Group, she worked as Finance Manager for Maryvale Inc., a non-profit organization, and Accounting Manager for Stratus Real Estate, Inc.
Ms. Yeung holds a Bachelor of Science and Master Degree in Business Administration from California State University of Hayward. Oversees corporate accounting, cash management, and financial reporting.